Procedure to Filing of provident fund monthly return in India? 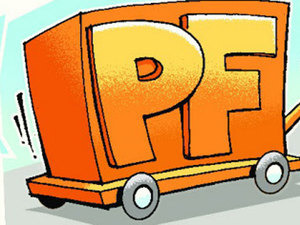 Procedure to File monthly PF return online. Employees Provident Fund organization has set up a due date of Filing of monthly return which is 15th of succeeding month. So Filing of monthly return is more important in due date. so every organization is to prepare the wages & salary details monthly which is important role of Organization. Non making of payment of Contribution of employees in due date will be disallowed by Income tax Department. Based on the above details of every employees, the ECR return will be prepared and same has to uploaded in the PF portal to file the return of PF and submit the Form. Making payment of PF is very important, after successfuly uploaded the ECR filing. The Payment of EPF can be made online. No one make payment in Challan as earlier. So no need to go with challan for making payment of EPF. The employees can view their balance with PF department in any time by login of employees.